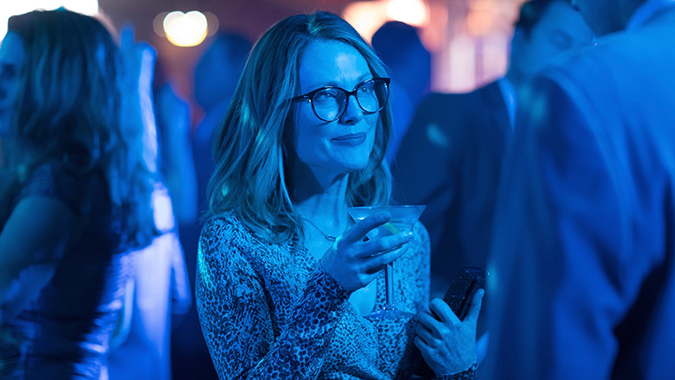 Julianne Moore “is simply perfect” (Brian Tallerico, RogerEbert.com) in Gloria Bell, arriving on Blu-ray (plus Digital) and DVD June 4 from Lionsgate. The film, described as “funny, touching and vital” (Peter Travers, Rolling Stone), will also be available on Digital May 21 and On Demand June 4 from A24. Directed by Sebastián Lelio (A Fantastic Woman), this Rotten Tomatoes Certified Fresh film follows a free-spirited woman in her 50s seeking love at L.A. dance clubs. Bring home the Gloria Bell Blu-ray and DVD and go behind the scenes with a never-before-seen making-of featurette (featuring interviews with Julianne Moore, John Turturro, Rita Wilson, Brad Garrett, and more), as well as an audio commentary with director Sebastián Lelio. 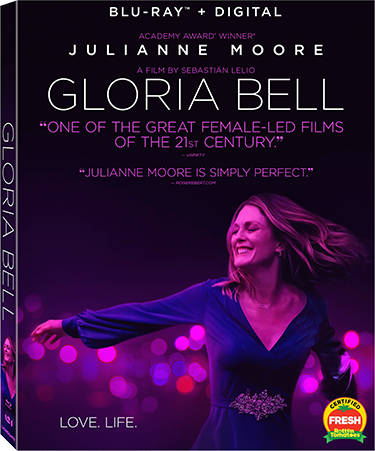 The Gloria Bell Blu-ray and DVD will be available for the suggested retail price of $24.99 and $19.98, respectively. Julianne Moore stars as Gloria, a free-spirited divorcée who spends her days at a straitlaced office job and her nights at L.A. dance clubs. One evening, Gloria meets Arnold (John Turturro) — and finds herself in a new romance that shows her love can strike at any time. From Sebastián Lelio, the director of the Oscar®-winning film A Fantastic Woman, Gloria Bell features an outstanding supporting cast including Brad Garrett, Jeanne Tripplehorn, Rita Wilson, Sean Astin, and Holland Taylor.